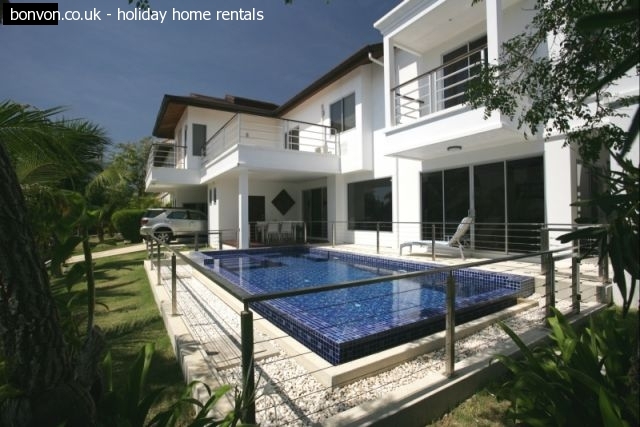 Beautiful courtyard villa in Phuket set across three separate buildings with three double bedrooms, a tropical garden and a private 15 metre swimming pool. 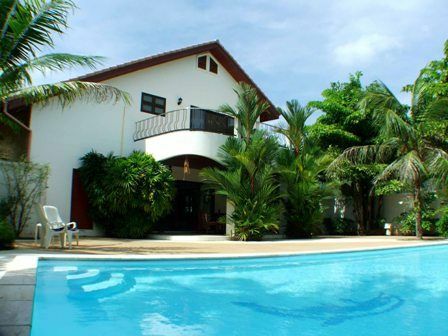 Features of the villa include high speed wireless internet connectivity, a fully equipped kitchen, a 42” plasma TV with integrated sound system, a bar and a private 15m swimming pool. All rooms have air conditioning as well as ceiling fans and all linens and bath towels are provided. All bedrooms have private en-suite bathrooms and there is also an additional washroom in the main building. Managed services are offered to guests such as maid services, shopping service, babysitting, in house massage, aromatherapy, laundry as well as car hire. The management office is located next to the villa and the helpful staff are available to handle any enquiries that you may have. Security guards are on-site 24 hours a day, 7 days a week to ensure piece of mind. The villa is located on the two stunning Red Mountain & Loch Palm golf courses.